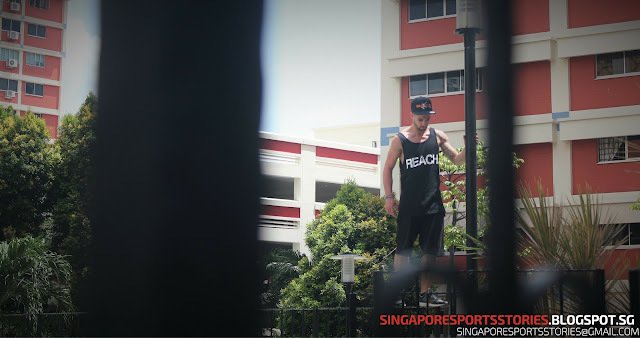 It takes fine balance to be a parkour pro but it also takes some balancing to organise parkour events in Singapore. Last month, Singapore held its biggest parkour event. 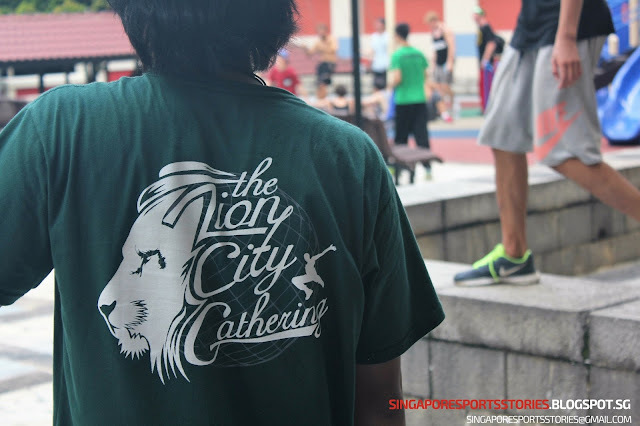 The Lion City Gathering (LCG) 2016, in its second year, saw over a hundred local and international traceurs take to the Singapore heartlands to hone their craft. The three-day event saw Indonesian, Taiwanese, US and even European traceurs negotiate Singapore urban structures in Bedok, Bishan, and Clementi. Held around residential estates, local parkour group, Parkour Singapore, ran into bumps while hosting the event as residents' complaints and police intervention plagued the event. Organiser and local traceur Mr Koh Chen Pin, 22, had tried applying for a permit months before the event but was rejected. "We first sent out emails only to be rejected without explanation. Next we made a video to show the MPs and Town Council how much we really wanted the permit for Bedok Maze (a parkour spot), and we went down to the Meet-The-People session at Bedok and actually spoke to the MP himself." said Mr Koh. "However, the Town Council only sent me a letter with almost the exact same reply as the email they initially sent me." The East Coast-Fengshan Town Council website states open spaces as a common area facility that can be used for "Social Gatherings, Wedding Receptions, Engagement, etc" for a fee of $50. The Sunday Times reported on Feb 7, that the Town Council turned down Mr Koh's application for this year's event for safety and secruity reasons after an incident during last year's LCG in which two traceurs trespassed on the roof of HDB flats. Despite the rejection of a permit, LCG 2016 proceeded as planned. Mr Leonard Chiang, 22, a co-organiser said: "Parkour, unlike other activities, doesn't need a fixed area. We can go everywhere so at least for this year we continued on with it." Mr Chiang added that many international traceurs had already booked flights. There were also stricter regulations in place. Mr Koh shared that he informed the practitioners not to go up to HDB flats. However, within an hour into the first day of the event, the organisers ran into problems. "Residents complained about the amount of people gathering below their blocks and we had to move off right away as soon as the police found out that we did not have any permits." said Mr Koh. The organising committee was prepared for the reaction and had contingencies to cooperate. "We printed out the particulars of all the guests present at the event to ease screening. We had back-up spots if we had to move out. We also started to spread the big group up into different groups and disperse to different spots within the area." said Mr Koh. "There was nothing they could do as police had to fulfill their responsibilities of dispersing the crowd when they receive a complaint. On our side, we had no choice but to move on. We had to continually switch spots for a bit as the residents complained everywhere we went." Residents were generally curious as to what was going on and cited noise, concern about damage to public property, and danger posed to the public using the common spaces among the reasons for complaints. On the third day of the event at Bishan, one resident pointed out that the metal railing structures at the spot were loose and clanged loudly when used by the practitioners. The resident was worried it would deteriorate further. Singapore Sports Stories was at the event spot on the third day and noticed that despite the large gathering, the practitioners were not rowdy. Apart from a few clangings from the metal railings and the occasional cheer, noise level was generally low. LCG 2016 also took practitioners to Singapore's dedicated parkour gyms to train but ultimately the heart of parkour lies in negotiating urban landscapes and structure. Mr Koh suggested parkour parks as a mean to satisfy the stakeholders here. "Most other countries have already built parkour parks in support of the sport." said Mr Koh. Denmark, Spain, and England are among some countries who have outdoor parkour parks. "They should definitely think of building one for us. There are plenty of skate-parks in Singapore already." Looking forward, Mr Koh wants to add credibility to parkour in Singapore. "We are going to form an association and start bringing up Parkour Singapore's name. Once our reputation is built, I hope it will make us much more trustworthy and thus easier (for us) to handle permit applications." "I feel that Singapore needs to start accepting parkour as it's only going to grow bigger. It's really sad how an event with so much potential like this is going to waste just because the people here do not support it. It (LCG) is one of the biggest parkour gatherings in the world, held in Singapore due to its amazing training spots." said Mr Koh. Despite the hiccups, the three-day event ran its course. Mr Chris Rajcevic, 41, one of the international participants at LCG 2016 shared that back in the US, the parkour community does not encounter such problems as much. "Not so much like here. I think maybe there is a more open mind towards parkour community there than here maybe."